Everybody could use a helping hand from time to time, and motorists are not exception. Oftentimes, your car needs a service at the most inconvenient of times. You could be in need of a new battery or some gas. It is also possible that you simply do not have the skills or experience required to safely perform emergency repairs on your car, which is nothing to be ashamed about. All you need to remember is that you have to admit your shortcomings so that you can arrive at the most sensible solution: giving us a call. When it comes to roadside assistance, you cannot go wrong with calling a service that has years of experience with helping out folks in the McKinney, TX area. Our experts are the best when it comes to making sure you get the right treatment and aid for your vehicle. Unlike other services that only offer a few of these, we take pride in being a one stop shop. Just pick up your phone and call us. We promise you will not regret it. One of the most common issues that require roadside assistance in McKinney, TX is the battery of your car. A lot of times, people forget to regularly check and replace their battery, making it a pain when it suddenly starts malfunctioning. This is why it is so important to prevent problems with batteries. However, you cannot always prevent problems from happening. If you need someone to come to you with a new car battery, then that would be no problem. Just give us a call, and we will come to you with a fresh battery. If all you need is a jump start, then we can provide that as well. If you find yourself locked out of your car, then you will definitely need some help getting back in. It would be best if you could get help without having to leave your car behind, as this leaves your car vulnerable to theft. This is especially true if you have lost your car keys, as they could have fallen into the wrong hands. 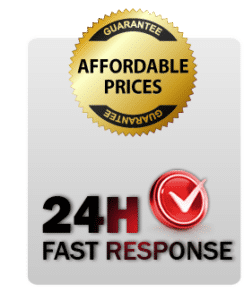 You need to get the best roadside assistance McKinney, TX can throw at you since you need an expert that can pick a lock, and if things develop poorly, then it would be great if they could tow you to safety. With us, you never need to worry about lack of availability. Magic Towing and a network of independent tow truck operators are open 24/7, so at any time of day, you can call us for roadside assistance in McKinney, TX. It does not matter if it is midnight on a holiday. We will come for you to make sure that you will have assistance for any problem you might have. No matter what the problem is, you can be sure that we can deliver expert help to you. You may not have planned for your car to breakdown or for your battery to run out of juice, but you can plan to save our number, so that you are prepared in the case of an emergency.